Our solution is delivered as a service - we provide you with full access to your CRM and take care of all the rest. You will not need any technical staff, just a web browser and an Internet connection. There are also no commitment, and no surprises – a one-time startup fee and a fixed monthly subscription provides you with a complete solution, personalized for your organization and fully maintained over time. We take care of all the steps to get you started on the right tracks: a survey and interviews to understand your specific needs, installation, personalized configuration of your solution on our servers, data migration, integration with your werbsite if needed , customization and training of your staff. The monthly subscription includes the hosting, maintenance and updates of your solution as well as ongoing customer support, mentoring and continued education. Much of this work happens ‘behind the scenes’, and you will only see that your solution is available and performing as expected, and know there is always someone available to answer your questions or provide assistance. 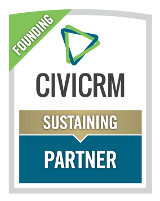 In addition to the initial training we provide as part of the implementation, we also offer online and onsite trainings for CiviCRM. 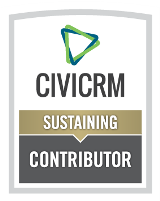 Our training curriculum includes a complete panel of courses for new and intermediate end-users of CiviCRM. These courses are all priced at $40 per attendee. You can look-up future sessions and register through our training calendar.